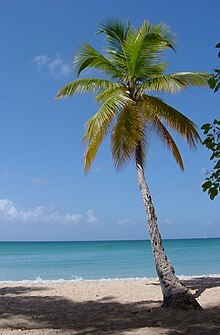 Coconut paum tree Cocos nucifera growin in Florida. The Arecaceae are a botanical faimily o perennial lianas, shrubs, an trees commonly kent as paum trees. ↑ "Arecaceae Bercht. & J. Presl, nom. cons". Germplasm Resources Information Network. United States Department of Agriculture. 2007-04-13. Retrieved 2009-07-18. This page wis last eeditit on 9 Apryle 2017, at 14:26.